Dr. Mullen is Assistant Professor of Classics, Boston University. Ever since the appearance of Worlds in Collision those who have taken it seriously have been aware that it offers the possibility, not merely of solving more and more problems by the methods of the established specializations, but further of restructuring knowledge as a whole. Dr. Velikovsky showed himself conscious of his challenge to the structure of knowledge when he set as epigraph to the book a question by the Roman polymath, Seneca: "Quota pars operis tanti nobis committitur?" "What part of so great a task is committed to us?" And he has given a kind of private answer to that question by devoting the most massive share of his researches in the last twenty-five years to the historical sciences, as represented by the expansion of the sequel to Ages in Chaos into several still unpublished volumes. In itself Ages in Chaos remains deliberately independent of Worlds in Collision, only taking as its starting point the event of 1500 B.C. as described in Hebrew and Egyptian sources. But in a larger sense Ages in Chaos is an extension of the historical method at the basis of Worlds in Collision, and thus will continue to serve as a model to those undertaking to reconstruct the history of other peoples from 1500 B.C. on. In both books the study of man is at the center: what he has done (his migrations and his rituals), what he has made (his monuments and his symbolic art-forms), and what he has said (his myths and his annals). Two specific methods stand out in Velikovsky's effort to order this material. The first is chronological: to extract from the great mass of human testimony all those elements that can be dated and to synchronize them. The second method is interpretative: to extract common elements describing a given real event from all the varying patterns of significance which different cultures have assigned to it. This second method has consistently been the stumbling-block for his critics, and it is probable that only a patient elaboration of it by many hands in many cases will make it sufficiently familiar to them. But it also raises a major question for those attempting to measure the full potential of his work. In order to understand the nature of certain fateful events in the history of the solar system, we must divest human testaments of their patterns of significance and use what we have culled as raw scientific data. But in order to understand how human behavior was affected by these events, it is precisely to such patterns of significance that we must return. The final goal of our research, therefore, is not simply to have a better understanding of the history of the solar system. It is rather to enter into a more vibrant perception of the history of man's efforts to bring order out of chaos. In this paper I would like to take one great civilization, the Mesoamerican, and show how Velikovsky's historical method might be applied to it. It has long been recognized that only the concept of a single civilization is adequate to explain the similarities between a set of cultures stretching from the Mexican highlands down to Honduras. The oldest of these cultures is now accepted to be the Olmec, which established itself around the northern coast of the Isthmus of Tehuantepec. Inheritors of this culture lie in all directions from the Isthmus. To the southwest the earliest high culture is the Zapotec, centered around Monte Alban in the present province of Oaxaca. To the northwest lie the series of cultures centered around the Valley of Mexico where Mexico City now sprawls, starting with the "hegemony" of the metropolis of Teotihuacan and ending with the "empire" of the Aztecs. To the east and south are the highland Maya cultures of Chiapas and Guatemala and, preeminently brilliant, the lowland Mayas stretching from the Peten across the Yucatan peninsula. Different authorities make different lists of traits common to these cultures but among them the following are agreed upon: 1) the development of a form of urbanism in which large populations were spread around single great ceremonial centers; 2) the belief in cyclical world ages ended by different cosmic agents (jaguar, wind, rain of fire, water, earthquake), and the practice of calculating and recording these and lesser cycles by means of a glyphic system; 3) human sacrifice; 4) a ritual ball game; 5) worship of the planet Venus. In applying Velikovsky's historical method I will try to establish two conclusions following from its two aspects. The first is that recent archaeological explorations of the oldest stratum of Mesoamerican civilization, the Olmec, have constructed a record which suggests with very satisfying chronological correspondence the events described in Worlds in Collision. The second is that in the only perfectly preserved sacred narrative left us by any Mesoamerican people, the Popol Vuh or Book of Counsel of the Quiche Mayas, these same events are stated to be the unifying cause for the complex of practices by which Mesoamerican civilization is everywhere defined. To support this second conclusion I will adduce more fragmentary narratives from other Mesoamerican cultures which clearly refer to these same events even though the mythical molds into which they cast them differ substantially from the Popol Vuh. The first conclusion is chronological, the second is interpretative, and only through combining the two can the unity of the civilization be appreciated. The archaeological record first, then. The general reader is fortunate to have at his disposal a thorough and recent summation of this evidence in a book entitled The Olmec World, written in 1968 by Ignacio Bernal. Bernal takes the three major Olmec sites excavated so far, La Venta, Tres Zapotes, and San Lorenzo, to comprise what he calls the "Metropolitan Zone" in which the first flowering of Mesoamerican civilization is to be traced. In his scheme this flowering begins around the 12th century B.C., and its antecedents, the "specialization of a regional style," begin around the 16th. Surveying the Olmec artifacts found in other regions before the 12th century, he notes that they never allow us to think of a civilization but only of an advanced culture: there is as yet no urban planning or monumental sculpture, only ceramics (Bernal, 1969: 106-7). Already in this general scheme readers of Worlds in Collision and Ages in Chaos will recognize a congruence. One of the first consequences of Velikovsky's alignment of the fall of the Middle Kingdom with the Exodus was to allow him to reinstate the roughly 400-year period for Hyksos rule in Egypt which scholars had originally felt reasonable (Velikovsky, 1952: 76). In the revised chronology this corresponds to the 400-year period covered by the Books of Joshua and Judges, and the shaking off of the Hyksos yoke is shown to be the work of a coalition between Saul and Ahmose in the 11th century. The suggestion is that this 400-year period was one of extreme chaos and terror due to recurring threats from the close passage of Venus, a time in which cultural enterprises were almost totally thrown over in the struggles of separate and often still migrating peoples for survival. Since Worlds in Collision does not undertake to specify precisely how long before the 8th century Mars and Venus came into the close approach which resulted in minimizing the danger posed by the latter planet to the earth, it is possible to speculate that the 12th century marks a crucial phase in that event. In any case, the Olmec flowering gives an example from the other side of the globe of a people coming to life after the same centuries of paralysis. The signs of abrupt cessation noted by the various archaeologists, and the causes adduced for them, bear close examination at each site. I will consider chiefly La Venta here, not because there is a consensus that it preceded the others in its growth, but because, during the flowering of the Metropolitan Zone in Olmec II, it is by far the largest of the centers and thus likeliest to give clues to both the intentions and the misfortunes of its builders. Here are to be found the major Olmec expression of the two features which will continue to distinguish the Mesoamerican ceremonial center: pyramids serving as platforms for temples, and subsidiary courts and mounds all strictly aligned according to a north-south axis. The existence of a ceremonial center at La Venta during Olmec I is far from established; it has only been inferred from the presence of three stratigraphic levels under a layer of sand (Drucker, Heizer, and Squier, 1959: 38, 44; Piña Chán and Covarrubias, 1964: 18). Bernal infers that it was completely destroyed by invaders whom he calls simply the Olmec II people (Bernal, 1969: 109). The Olmec II ceremonial center, by contrast, was clearly recognized by the original excavators to have gone through three major renovations under one continuous group of leaders; the area in question was termed 'Complex A' and its history divided into Phases I through IV. In 1957 Drucker and Heizer obtained radiocarbon dates for nine wood charcoal samples from Complex A: five from Phase I, one from Phase II, one from a trench cut into the north platform of the great pyramid and presumed to be from Phase III or IV, and two from the lowest level of the drift sand mantling the site and interpreted as of early post-phase IV date. The five Phase I specimens covered a time-span, within one sigma, from 1454 B.C. to 304 B.C., and averaged to 814 B.C. ; the two post-Phase IV specimens averaged to 309 B.C. (Drucker and Heizer, 1957). On the basis of these the four phases were assigned to the period 800-400 B.C. ; subsequent study of the dates retained the 400-year-period but revised it back to 1000-600 B.C. (Berger, Graham, and Heizer, 1967). The overlapping of these dates with the catastrophic events assigned by Velikovsky to the 8th and 7th centuries evokes two contradictory reactions. The first is that the whole set of dates should be held in reserve because of the possibilities of contamination during large-scale combustions attendant upon the events (Velikovsky, 1973: Pensée IV, 12 ff.). A particularly forceful example of such contamination is to be found at Tres Zapotes, where a C-14 dating of a piece of wood charcoal from the Early Period yielded the date 9000 B.C. (Bernal, 1969: 109, n. 7). Examination of the sample showed that it was mixed with asphalt, as was also the case with one sample from San Lorenzo (Coe, Diehl, and Stuiver, 1967: 1400). Moreover, much of the Early Tres Zapotes level was sealed with volcanic ash (Drucker, 1943: 34). Coe reports that lumps of asphalt were found everywhere at the San Lorenzo excavation. Their presence accords with Velikovsky's comprehensive documentation of bituminous deposits around the world connected with the events of 1500 B.C. (Velikovsky, 1950: 53-58; 1955: 64-67). In presenting the radiocarbon dates for San Lorenzo Coe notes that the 'true' age for the beginning of construction activity may be pushed back from 1200 to 1350 if the correlation taking account of the fluctuation of C-14 activity of atmospheric CO2 is used. So far he has only specified the time of construction at this site as within the general Mesoamerican period called the Early Formative, 1500-800 B.C. The second reaction is that the dates as they stand, particularly according to the revision proposed by Berger et al., bring to prominence the kinds of explanation for the four-phase sequence at La Venta which the catastrophic hypothesis would suggest. In a simplified version, the complete destruction of the Olmec I ceremonial center would correspond to the beginning of a new phase of celestial instability; the three renovations of the Olmec II Complex A would be accounted for by recurrent destruction caused by the close approaches of Mars; and the final abandonment of the site would reflect the last acts of the celestial struggle. In a more complex version, some of the destructions might be attributed to the migrations of warrior hordes such as Velikovsky has proposed elsewhere were initiated by the Mars events (cf. Velikovsky, 1950: 253-4); some of the renovations to propitiatory planetary cult; and the final abandonment to the collapse of a theocracy whose self-proclaimed power to regulate celestial events had been proven manifestly lacking. A yet more sophisticated explanation of these destructions, renovations and abandonments exists which in a sense bridges the gap between the present uniformitarian school of Mesoamerican archaeology and the emerging interpretation of the school of catastrophism. That is that they were all grounded in the familiar Mesoamerican rituals based on large cycles of time. The practice of ritual mutilation, applied to everything from elaborately carved stelae to simple household objects, is well-known among both the lowland Mayas of the Classic Period and the Aztecs right up to the Spanish Conquest. Heizer, one of the three in the original excavating team at La Venta, used this concept in several ways to explain the state of the finds there (Heizer, 1960: 218-220). He noted that 24 of the 40 monuments showed clear signs of mutilation. In this he is supported by the even more impressive evidence registered by Stirling at San Lorenzo (Stirling, 1955: 9), where the stone monuments "appear all to have been intentionally overthrown and many of them cast into ravines." This was later interpreted by M. D. Coe as a 'revolution' against the priestly caste which brought the San Lorenzo culture to an abrupt end ca. 900 B.C. (M. D. Coe, 1967A: 21-26). It should be noted that the change from San Lorenzo to the Rio Chiquito site near the present village of Tenochtitlan seemed explicable to Stirling by a change in the course of the river, except for the puzzling fact that the stone monuments were not moved when the change was made. A catastrophic interpretation would solve this discrepancy by assuming that at a time when planetary instability was causing, among other things, the change of river-courses, there were simultaneously violent cult reactions of which the mutilation of monuments or ritual casting of them into ravines might form part. 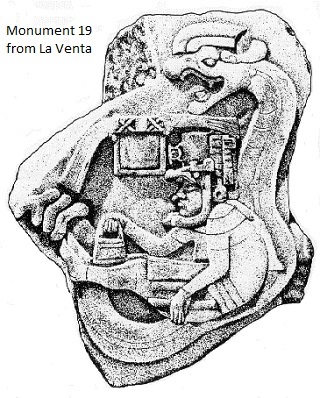 Heizer went on to suggest that the apparent regularity of the La Venta renovations, one every hundred years, could be correlated with the great ceremonies performed in cycles of 52 or 104 years. He even toyed with the idea that "when the site was first built the intention was that it should serve its function for a predetermined span of time, such as eight 50-year periods or four 100-year cycles" (Heizer, 1960: 220). This seems less implausible when we consider the central importance of the 400-year cycle (baktun) to the Classic Mayans and the evidence of ritual destruction at the end of them. The fact seems to be that this kind of interpretation, when applied to sites of the period of La Venta, affords the spectacle of the catastrophists and the uniformitarians approaching from opposite directions and meeting at the same place. Velikovsky has argued that the obsessional fear connected with the termination of the 52-year cycle is to be explained by the original close passages of Venus at that interval starting around 1500 B.C. Heizer, on the other hand, has no explanation for the obsessional force of these cycles but finds the testimony for them compelling enough in later Mesoamerican cultures to be willing to project them back into the Olmecs. In this he is supported by the evidence from late Olmec stelae (particularly the famous Stele C from Upper Tres Zapotes) that the Olmecs used the same calendrical cycles as are later found in such abundance among the Mayans, including the Long Count in which the 400-year baktun is the initial unit. And their cartilage (Edmonson, 1971: 26-7, 11. 691-7040). Thus there is little difficulty in reconstructing among the Olmecs the original meaning of their supreme symbol. To strengthen the connection with later mythology, it should be noted that rarely is the jaguar sculpted in its natural form; the predominant mode was to infuse elements from other creatures and thus create a monster even more irrefutably divine. In a few instances these elements include a bifid tongue representing the snake and feathers representing the bird (Bernal, 1969: 97-9), so that the great image of the Plumed Serpent, Quetzalcoatl, is shown to have its first expression among the Olmecs. The serpent-motifs have also led scholars to recognize in the Olmec jaguar the predecessor of the omnipresent Mesoamerican gods of thunder and rain, the Tlalocs among the Nahuatls (Caso, 1942: 44) and Chacs among the Mayans (Thompson, 1951: 1, 36). These gods were unquestionably worshipped in later times as the source of rain necessary for crops, but as with the Greek Zeus, sender of rain and wielder of clouds and thunderbolts, the earlier planetary nature of the deity lingered to create awe. In the Florentine Codex the separate functions are stated in the terse definition given of the nature of the god: "Tlaloc: to him was attributed rain; for he made it, he caused it to come down ... And also by him were made floods of water and thunderbolts" (F. C. 1, Ch. 4; Anderson and Dibble, 1950: 11, 2). 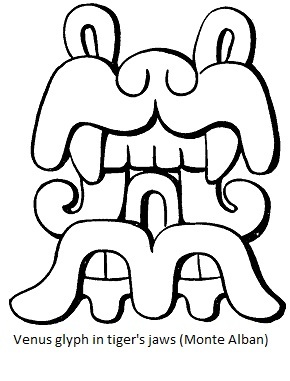 Sometimes human elements are also infused into the face of the jaguar, or else a man's face is shown emerging from a jaguar's jaws or a jaguar-headdress. This situation of the human is in turn symbolically interwoven with the few other standard representations of the human face which the artistic canons allowed. Basically there are three human types represented in pure or mixed form: the baby, the dwarf, and the athlete. The baby and the dwarf have been explained as subjects because they seem to have been pre-eminent victims chosen for human sacrifice. The victim sacrificed is considered to represent the god, hence to be divine and worthy of being sculpted. The athlete's head has been explained in several ways. Since he was a participant in the ritual of the sacred ball-game which is known from Toltec and other sources to have ended with decapitation of the leader of one of the two teams, there may be a peculiar appropriateness in the practice of always sculpting the head alone without the body. This ritual ball game, as will be shown later, was itself a reenactment of the celestial ball-game, played at a time of world-destruction, in which the sun and moon defeated the lords of hell who were disturbed by the shaking of the earth which their ball practice had caused. Hence the element of human sacrifice in the reenactment is again to be explained by the traumatizing hold of the cataclysmic prototype. Another explanation has been given for the peculiarly shaped helmet to be found on many of these athletes; it is seen as reflecting the devices by which cranial deformation was practiced on infants, among the Olmecs and among the Mayans (Davalos and Zarate, 1953: 99). It has been observed that this kind of deformation may produce a V-shaped cleft in the upper part of the head which is to be found on the head of the jaguar in its natural state (Bernal, 1969: 72). Hence the victim of this deformation, whether the symbolic athlete or the real infant, is merely one more material in which the Olmecs sculpted their obsession. It is unnecessary to trace here the sequence of cultural intervals connecting the Olmec people with whom we began and the Quiche and Nahuatl peoples whose annals we are now to listen to. This has been one of the principal tasks of Mesoamericanists from the start, and however well they have been able to perform it there has been no doubt but that the sequence is unbroken. Many migrations and conquests occupy the interval, but there seems to be no case of a people totally exterminating the culture of those they conquered. Rather the opposite phenomenon seems to have continually occurred, namely that strange process by which a conquered culture conquers its conquerors, submitting to their sway while indoctrinating them in its ancient beliefs. Nevertheless something should be said about the structure of the annals in order to defend our contention that they in fact span, if they do not fill, the whole period of time from the catastrophe of Venus to the catastrophe of the Spanish Conquest. If Mesoamerica had enjoyed the awesome dynastic stability of literate empires such as Egypt or China, or if it had developed the linear temporal sense of peoples sustaining the tension of an historical burden such as the Romans or the Jews, then there probably would have existed at the time of the Conquest books accounting for every generation from the earliest Olmec migrations to the last Aztec king. No such books survive and there is no ground to suppose they existed, for the simple reason that each people that did give an account of itself insisted on beginning it with their own migrations and ending it with their submission to the Spaniards. In each case the generations memorialized are those of the people's period of greatness as symbolized by its successive rulers, and these seldom amount to more than twelve. Rulership had to come from the gods, and the times when the gods manifested themselves were the times when the people migrated under their commands until it came to the place where it had been destined to rule. A few scholars have at least had the anthropological sophistication to recognize that because a migration legend is not datable it is not therefore to be banished forever from the effort of interpretation. Paul Radin (1920: 6-7) points out that the interests of most primitive peoples are "centered not on the idea of growth but of origins," and that this is not inconsistent with the more historical interest of the highly developed Nahuatl or Mayan cultures in the "development of institutions." Munro Edmonson, in the notes to the translation of the Popol Vuh on which I rely here, states that "The central institution (of the Quiche) was the patrilineage, and all Quiche versions of the origin myth begin with the heads of the maximal lineages, the First Fathers. The suggestion in these myths is strong that the lineage structure had little depth, perhaps rarely more than six or eight generations, remote genealogy being made up of syncretistic status claims 'inherited' or preempted from other families.... The list (of chiefs) appears to reflect, albeit somewhat confusingly, the changing fortunes of the lineage over a period of 12 'generations,' probably no more than 220 years" (Edmonson, 1971: 148, n. to 1. 4823, & 254, n. to 1. 8552). In interpreting the annals a middle course lies open to us. This is to suppose that a basic structure for the experience of peoples was laid down in centuries following the catastrophic events and rigidly adhered to thereafter. The structure is essentially tripartite, consisting of 1) destructive acts of the gods which ended one world age and initiated the next; 2) wanderings of the people at the time of transition under the guidance of heroic leaders who interpreted the god's will; 3) termination of the wanderings with the passing on of leadership by these heroes to the first generation of rulers in the newly occupied land. Once this structure was established it became the basis for every subsequent telling of the history of the people; and if later migrations occurred and later kingships were founded they were inevitably accommodated to the earlier ones of the sacred era, and finally identified with them. This is in effect the grand structure of the Old Testament; and how many subsequent groups in the Judaeo-Christian tradition have declared to the world their all-important 'Exodus' from this or that place or state. Subtract from such annunciations their dating according to the system of 'Anno Domini' (itself a testimony to the power of the lives of significant leaders, when fit into the mold of more ancient myths, to cause later generations to restructure cosmic time around them); add instead a complex system of cyclical dating; and you have essentially the same kind of account as the Mesoamerican annalists leave us. It was necessary at all costs to preserve an account of sacred origins, and the tellers held to their instinct that the sacred had been declared at the times of catastrophe. Here is a prime case where the pattern of significance which a people has given to its experience must be accepted as an obstacle to reconstruction of the history of events, only to be returned to later as an essential source in reconstruction of the history of human obsession and of its metamorphosis into human order. How then does the Popol Vuh declare the sacred origins of Mesoamerican institutions? Let me recapitulate the five I gave at the beginning, placing them now in the order in which the epic accounts for them: 1) belief in world ages, 2) ritual ball-games, 3) urbanism around ceremonial centers, 4) human sacrifice, 5) worship of Venus. Each is in the narrator's mind successively as he leads us through the fateful events. A sight of the bright life, as it is called. The insistence on four humiliations leads the student of Nahuatl beliefs to expect that the four agents of humiliation will be forthwith enumerated. 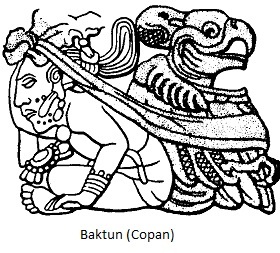 In the "Legend of the Suns" appended to the Annals of Cuauhitlan these four agents are given in an elaborate systematization: each is assigned to a different "Sun," this "Sun" like other gods is named by the date of its birth, this date consists of the number 4 plus the name of the destructive agent, and the duration of the "Sun's" life is given in years. The first sun was "4 Jaguar," it lasted 676 years, and finally the people were eaten by jaguars; the second was "4 Wind," it lasted 364 years, and finally the people were torn up by wind and turned into monkeys; the third was "4 Fire-rain," it lasted 312 years, and finally it rained fire all day and the people were turned into hens; the fourth was "4 Water," it lasted 52 years, and finally water covered all the mountains and the people were turned into fish (Lehmann, 1938: 323-27, # 1400-1403). In the Popol Vuh no such systematization is to be found. Instead we are told of the intention of the creators to shape a perfect people to praise them, and how three times the product did not perform and had to be abandoned. First they created the beasts and when the beasts could not praise them they were simply given over to the wild places (330-422). Second they created men of mud and when these spoke nonsense they just let them dissolve (423-478). Third they made men of wood, dolls, but these had no hearts or minds and had to be destroyed (505 ff.). Finally they created men of maize, fine men, handsome men, but these saw too far and understood too much, so they had to be humiliated. They were not destroyed, they just lost their great wisdom; "their eyes were chipped" (4822-5012). The story of the first two humiliations is told laconically. For the third, however, the narrator reserves all his art; and between the destruction of the third and the creation of the fourth comes fully half of the book, in a virtuoso narrative sequence whose themes we will come to presently. Moreover, it is for the death of this third race that the narrator reserves mention of any real agents of destruction, and when they come they all descend from the sky at once: a flood (673), a rain of glue (693), aroused jaguars (701), and a rain of darkness (713-darkness and wind in Nahuatl mythology being always put together in a linguistic couplet, whether attributed to Quetzalcoatl, Tlaloc or Tezcatlipoca). Here all the elements of the Nahuatl annals seem to be thrown together. Uniformitarian Mesoamericanists have never been bothered by these discrepancies. The catastrophist, on the other hand, is faced with the reasonable task of defining the mechanisms of distortion with reference to the original events posited. In regard to the Popol Vuh, it is not hard to recognize in the four agents of destruction grouped together four phases of the single catastrophic event Velikovsky has reconstructed involving Venus ca. 1500 B.C. The flood is due to disturbed tidal motions, the rain of fire comes from the hydrocarbon content in the tail of the proto-planet, the jaguar is a typical animal interpretation of the shape of the threatening celestial body, and the darkness was caused by the cloud covering in which the earth lay enshrouded for over a generation. In regard to the Nahuatl account, it is necessary to attempt to reconstruct the phases in which such an elaborate systematization might take place. Since Velikovsky has indicated that the two catastrophic sequences in Worlds in Collision are only the last two in a series, and that the preceding series includes the universally described deluge (destruction solely by water), it is not hard to see how a tradition of several world destructions each involving distinct agents might arise. The systematization then begins when the sequence of destructions is lost hold of and in its place comes speculation on the fundamental elements of the cosmos and the capacity of each to cause universal destruction by itself. Such speculation is documented in the opening chapters of Worlds in Collision (Velikovsky, 1950: 29-35). Then, once a system is established, the desire to define it numerologically arises, so that calculations of future cycles may seem to be grounded in the inevitable. The final step taken in Aztec speculation, as indicated by their great Stone Calendar, is to assign the four earlier world ages to the four world directions, with the satisfying result that the present age belongs to the center of the world, the place where man likes lo think of himself existing. This spatialization of temporal sequences still contains some elements of catastrophic experience in it, insofar as the cardinal points of the present world age were laid down at the end of the last catastrophe. The terror of experiencing a derangement of the cardinal points is transmuted by systematization into the comfort of knowing that all resulted in placing man at the center. The ritual ball-game is the unifying subject of the long narrative sequence interposed between the destruction of the third race and the creation of the fourth, which despite the lessening of knowledge inflicted upon it is affirmed to be our own. In conscious distinction from the sharp horror with which the third destruction was conjured and the solemn anguish with which the wanderings of the present race will be sustained, this middle section grants the gods their full brio. Only at the end of it, in a calculated stroke, do we learn that the two brothers who are the winners of this ball-game, Hunter and Jaguar Deer by name, are our present sun and moon (4693-4703). Their antagonists are the lords of Hell, led by 1 Death and 7 Death, and their victory is in revenge for the murder of their father and uncle, 1 Hunter and 7 Hunter, who had played with the lords in an earlier game and lost. The lords of Hell had been disturbed by the great shaking of the earth which 1 Hunter and 7 Hunter had caused when they practiced (1757-1773), and so challenged them to come to the underworld and play. These two descended to Hell and were put through a series of tortures in various chambers (the House of Darkness, House of Shivering, Jaguar House, Bat House, Knife House); when finally they played ball they lost and were decapitated. Hunter and Jaguar Deer go through the same series of torture-houses but they are wiser and outwit the lords of Hell in each. When the fateful game comes round Hunter's head is snatched by a Death Bat and the lords use it for their ball, but a friendly pig makes a new head out of a pumpkin, Jaguar Deer knocks it out of court, the lords of Hell run after it, and in the meantime Hunter gets his own head back. The two brothers then run off and return disguised as beggar-magicians who can perform the trick of sacrificing each other in an oven and bringing each other back to life. The lords of Hell are so fascinated that they beg the beggars to do their trick on them. The brothers oblige, sacrifice 1 Death and 7 Death, and then, as you might guess, refuse to bring them back to life. They solemnly announce to the terrorized underlords that all this has been in vengeance for their fathers, and that "Never again great will your sun,/ Great will your birth become" (4565-4566). Victoriously they walk back to the sweet light of the world above and, without a pause, continue on into the sky where they become the sun and moon. At this point, after the generation of darkness, it becomes light on earth. And "they are still in the sky" (4703). The Nahuatl parallels to this section of the Popol Vuh are peculiarly forceful precisely because they maintain the cosmic aetiology while dividing the narrative motifs in many ways. 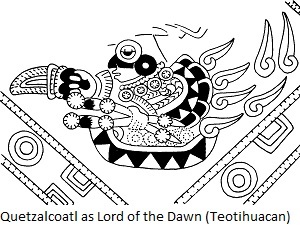 In the "Legend of the Suns" the story of the ball-game is given to Huemac, one of Quetzalcoatl's several alter egos, and his antagonists are the Tlalocs (Lehmann, 1938: 375-382, # 1601-1643); the prize of the game is rain for Huemac's people, the Toltecs, and as long as the Tlalocs win, drought and famine hold sway. 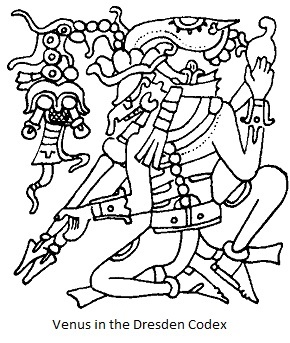 The hero of a separate narrative describing the descent to hell and triumphal return is Quetzalcoatl himself, and his feat there is nothing less than to bring back bones out of which the new race of man is to be constructed and maize by which he is nourished; Quetzalcoatl adds the final ingredient by sprinkling the bones with his own blood (Lehmann, 1938: 330340, #1417-1452). Immediately thereupon the fifth sun, "4 Earthquake," rises, "and this is our sun, in which we live now" (#1453). The direct affiliation of this story of Quetzalcoatl with the Popol Vuh's account of Hunter and Jaguar Deer is proven by a remarkable series of pages which constitute the centerpiece and masterpiece of the Codex Borgia (Seler, 1963: 1, 29-47). There Quetzalcoatl is shown going through houses of torture parallel to those the brothers endured, including a House of Knives and House of Animals that Cut and Tear. In these pages, as elsewhere in the Quetzalcoatl cycle, the triumph of the hero comes when his body is burned and his heart ascends to heaven as the Morning Star. Finally, the brothers' trick of casting themselves into an oven and coming out alive, thereupon to mount to the sky as Sun and Moon, is duplicated in a different setting by Nanauatzin and Tecuciztecatl, who during the long darkness at Teotihuacan willingly sacrifice themselves in order to become the new sun and moon (F. C. VII, 2; Anderson and Dibble, 1953: VIII, 3-7). Thus in every instance the Nahautl legends also insist that what was at stake in the contest was the appearance of the luminaries of the present world age. Nor the light, as they were multiplying. And very numerous they became. But they bowed their faces to heaven . . . Many were the people's languages. Scattered on the flanks were the generations under heaven....(P. V. 5117-5135). And armpit of the whole people to him. And in night time they did it. And continued ripping things out there. At the sunrise (P.V.5558-5562, 5593-5610). The Nahuatl parallel to this section of the Popol Vuh had already been alluded to, in the story of the long darkness at Teotihuacan which could only be ended by the self-sacrifice of Nanauatzin and Tecuciztecatl. There too the motif of fire is central, for the gods are gathered around a fire in the darkness and it is into this fire that the sacrificial victims must cast themselves. The Aztec version is more absolute than the Quiche, in that it insists that not even the death of the two destined to be reborn as sun and moon was sufficient, for when they first appeared reborn they remained motionless and the gods decided that only if they all sacrificed themselves would the new age see the motion of its luminaries. (This is in part a sacred play on the name of the new age, "4 Ollin": the word 'Ollin' means both 'Earthquake,' the agent by which it will be terminated, and 'Motion,' the essential precondition for its beginning.) At this crisis it becomes the task of Ecatl to slay the gods and make the sun move. 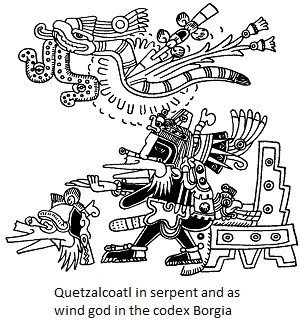 Ecatl is the god of wind, but it is agreed that he is to be identified with Quetzalcoatl; hence the Morning Star in disguise is again made crucial to the appearance of the sun (F. C. VII, 2; Anderson and Dibble, 1953: VIII, 4-8). The Sun Passer by name. Then the sun was born later. Green was the Sun Passer (P. V. 5579-5583). 'Alas! We were lost in Tula! We have broken ourselves up. Where did they see the sun then? Where might they have been when it dawned? (P. V. 5935-5940, 6057-6070). of the god of the Mexican people. Quetzal Serpent was his name. As it is called today (P. V. 6073-6088). "And after he had completely turned into ashes, then the heart of the Quetzal Bird rose up. And as they know, it went to Heaven, it entered Heaven. The old men say that it changed itself into the star that shines in the dawn. And they tell that when Quetzalcoatl died, there appeared the one who is called 'Lord of the Dawn.' " (Lehmann, 1938: 91-92, # 150-152). I hope that this retelling of the Popol Vuh, preceded as it was by the quandaries of stratigraphy and radiocarbon dating, has served both the purposes I spoke for at the beginning. We may dismember great epics in order to reconstruct history by stacking up their bones, but the epics have their own way of being reborn. Among the many results of Velikovsky's rigorous pursuit of his historical method is that the narratives which cultures have always insisted to be central to them are at last shown to begin in history as well as to end in it. Thus a measure of their dignity is restored to those particular cultures who have happened to be on the other side of the anthropologist's interrogations. It may be that more than one tale well told is destined for retelling, and that a whole consort of scientific disciplines is going to sharpen our ears to the art and purpose of narrators speaking for their peoples. Anderson, Arthur J. O., and Charles E. Dibble (1950): Florentine Codex: General History of the Things of New Spain (Fray Bernardino de Sahagun). Trans. from the Nahuatl. School of American Research and University of Utah, Santa Fe, New Mexico. Bk. 3, "The Origin of the Gods." Anderson, Arthur J. O., and Charles E. Dibble (1953): ibid., Bk. 7, "The Sun, Moon, and Stars, and the Binding of the Years." Berger, Rainer, John A. Graham, and Robert F. Heizer (1967): "A Reconsideration of the Age of the La Venta Site." Contributions of the University of California Archaeological Research Facility 3: 1-24. Berkeley. Bernal, Ignacio (1969): The Olmec World. Trans. from Spanish (El Mundo Olmeca, 1968) by Doris Heyden and Fernando Horcasitas. University of California Press, Berkeley and Los Angeles. Caso, Alfonso (1942): Definición y extension del complejo "Olmeca." Sociedad Mexicana de Antropologia. Reuniones de Mesa Redonda: Mayas y Olmecas, pp. 43-46. Coe, Michael D. (1966): "Exploraciones arqueológicas en San Lorenzo Tenochtitlan, Veracruz." Instituto Nacional de Antropologia e Historia, Mexico. Dirección de Monumentos Prehispánicos. Boletín no. 24: 21-25. Coe, Michael D. (1967A): "La segunda temporada en San Lorenzo Tenochtitlan, Veracruz." Boletín 1. N. A. H. no. 28, June: 1-10. Coe, Michael D. (1967B): "Solving a Monumental Mystery." Discovery 3: 21-26. 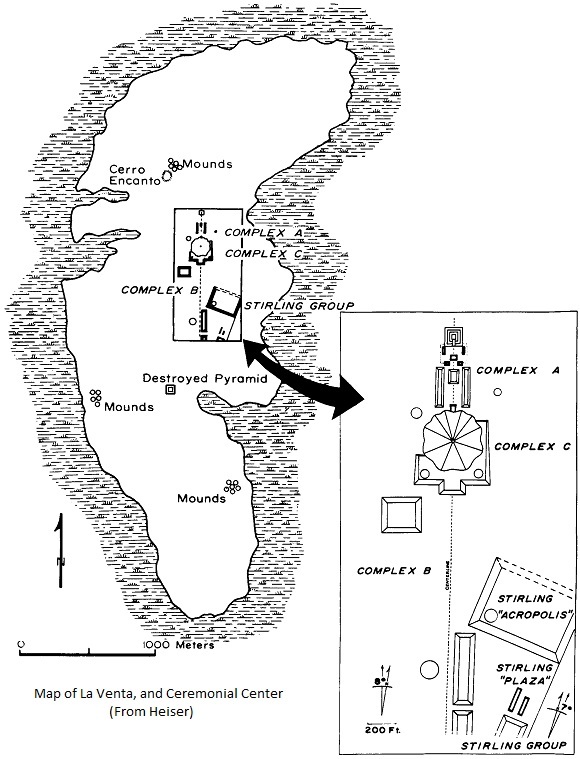 Coe, Michael D., Richard A. Diehl, and Minze Stuiver (1967): "Olmec Civilization, Veracruz, New Mexico: Dating of the San Lorenzo phase." Science 155: 1399-1401. Dàvalos Hurtado, E., and J. M. Ortiz de Zarate (1953): "La plàstica indígena y la patología. Sociedad Mexicano de Antropológia. Revista Mexicans de Estudios Antropológicos (antes Históricos), 8-2-3: 145-156. méxico. Drucker, Philip (1943): "Ceramic Stratigraphy at Cerro de las Mesas, Veracruz." Bureau of American Ethnology, Washington. Bulletin, 141. Drucker, Philip, and Robert F. Heizer (1957): "Radiocarbon Dates from La Venta, Tabasco." Science 126: 72-73. Drucker, Philip, Robert Heizer, and Robert S. Squier (1959): "Excavations at La Venta, Tabasco, 1955." Bureau of American Ethnology, Washington. Bulletin, 170. Edmonson, Munro S. (1971): The Book of Counsel: The Popol Vuh of the Quiche Maya of Guatemala. Middle American Research Institute, Tulane University, Publication 35. New Orleans. Heizer, Robert F. (1960): "Agriculture and the Theocratic State in Lowland Southeastern Mexico." American Antiquity 26: 215-22. Heyden, Doris (1973): "A Chicomoztoc in Teotihuacan? An Interpretation of the Cave Underneath the Pyramid of the Sun in Teotihuacan." Paper presented at the 38th Annual Meeting of the S. A. A., San Francisco, May 1973. Lehmann, Walter (1938): Die Geschichte der Königreiche von Cothuacan und Mexico (Annals of Cuahitian, Codex Chimalpopoca) Quelienwerke zur Allen Geschichte Amerikas, Ibero-Amerikanischen Institut, Berlin. Millon, René F. (1960): "The Beginnings of Teotihuacan." American Antiquity 26: 1-10. Piña Chán, Roman (1972): Historia, arqueologia y arte prehispánico. Fondo de Cultura Económica, Mexico. Piña Chán, R., and L. Covarrubias (1964): El Pueblo del Jaguar. Consejo para la planeación e instalación del Museo Nacional de Antropologia. Mexico. Radin, Paul (1 920): "The Sources and Authenticity of the History of the Ancient Mexicans." University of California Publications in American Archaeology and Ethnology, Vol. 17, no. 1. Berkeley. Recinos, Adrign (1950): Popol Vuh: the Sacred Book of the Ancient Quiché Maya. English version by Delia Goetz and Sylvanus G. Morley. University of Oklahoma Press. Séjourné, Laurette (1957): Burning Water: Thought and Religion in Ancient Mexico. Evergreen Edition, Grove Press, New York; and Thames and Hudson, London. Séjourné, Laurette (1969): Teotihuacan: Métropole de l'Amérique. Francois Maspero, Paris. Seler, Eduard (1963): Comentarios al Códice Borgia. Fonde de Cultura Economica, México. 3 vols. Stirling, M. W. (1955): "Stone Monuments of the Rio Chiquito, Veracruz, Mexico." Bureau of American Ethnology, Washington. Bulletin, 157: 1-23. Thompson, J. Eric S. (1951): "Aquatic Symbols Common to Various Centers of the Classic Period in Meso-America." Twenty-ninth Congress of Americanists, 1: 31-36. Chicago. Velikovsky, Immanuel (1950): Worlds in Collision. Doubleday, New York. Velikovsky, Immanuel (1952): Ages in Chaos. Doubleday, New York. Velikovsky, Immanuel (1955): Earth in Upheaval, Doubleday, New York. Velikovsky, Immanuel (1973): "The Pitfalls of Radiocarbon Dating." Pensée 3 (Immanuel Velikovsky Reconsidered IV), Spring-Summer, 1973: 12-14, 50. Waters, Frank (1963): The Book of the Hopi. Viking Press, New York. Many of the passages I will cite have already been used by Velikovsky in Worlds in Collision, whether from the same editions or as cited in secondary sources. See pp. 32, 33, 34, 45, 46, 48, 53, 54, 68, 93, 113, 118, 122, 127, 128, 154, 157, 177, 179. I omit here discussions of both the Highland Mexico and the Mayan codices, as also of the wealth of sculptured and painted testimony from the many sites of these two areas. I do so not because they are not of equal or greater significance than the written sources, but only because my intention is to give further exemplification of Velikovsky's method of handling verbal testimony. In any case Mesoamericanists will admit that very little of the glyphic or pictural testimony speaks for itself; in interpreting it they have always been forced to rely on the later written material. Thus the Mayan codices have been deciphered principally by working back from the Books of Chilam Balam written after the Conquest in Yucatec, as well as from the ethnographic data collected from the surviving Mayan peoples. Similarly, the motifs found in such abundance at Teotihuacan would have little meaning if the deities and rituals attested by later Nahuatl cultures could not be traced back to them. It is unfortunate that Séjourné's spiritualizing interpretations have made her work suffer in the eyes of the archaeoloists, because she is the most notable current spokesman for the theory that Teotihuacan was the site of the ancient Tula and that its inhabitants were the original Toltecs so venerated by later cultures; she herself is one of the principal archaeologists to have excavated there. This theory was widely accepted until a congress of Mesoamericanists voted it out of favor in 1941 and instated Tula, Hidalgo as the original ancient Tula. They did so on a combination of archaeological evidence and annalistic interpretation which is by no means overwhelming and should not have been elevated into fact by the fiat of a congressional vote. On the side of annalistic interpretation the possible error of this more recent identification springs from precisely the kind of chronological short-sightedness I am referring to. Annals from the Valley of Mexico begin with the great period of the Toltecs and then briskly proceed to their own series of kings; these series never go back much beyond the 9th century A.D., whereas the Classical Period of Teotihuacan is extended to the 7th century A.D. at the latest; hence, according to the favored theory, the Teotihuacanos cannot possibly have been the Toltecs. The canonization of this tentative re-interpretation as unquestionable fact bears analogies to the 19th century fabrication of Egyptian chronology which Ages in Chaos calls into question. Henceforth I will refer solely to the line numbers in Edmonson's translation—Edmonson 1971. A subsidiary issue at stake in juxtaposing the Quiche and Nahuatl accounts is whether their names for the original site of gathering and sacrifice can be held to the literal meaning. The Nahuatls insist that this site was the present Teotihuacan, the Quiche that it was Tula, and the debate over their identification has already been referred to. Scholars belittle Aztec claims to have any genuine knowledge of the earlier history of Teotihuacan and assume that the insistence in this passage on its centrality in the cosmic struggle is merely another case of projecting their own myths onto the nearby ruins whose proportions so impressed them. Similarly, the presence of the word 'Tula' in the Quiche account carries little weight with interpreters of the book, since the Quiche and Toltec cultures alike are assigned to no earlier than the 9th century A.D. In both cases the association of the site with a momentous time of origins is not considered because not until Velikovsky's re-interpretation of Mesoamerican mythology in Worlds in Collision has anyone suggested that this time of origin can be dated. A recent archaeological discovery at Teotihuacan may move Mesoamericanists to reconsider their scheme, if not to consider the Velikovskian dating. In October 1971 Jorge Acosta excavated in the Pyramid of the Sun and found an elaborate system of caves in the bedrock underneath it; they had been made accessible by a tunnel which had later been filled in. Four of the caves are arranged in cloverleaf form, two more lead out from the stem, and the stem itself, if considered a chamber, brings the total to seven, precisely the number specified in both the Aztec account of their origins in Chicomoztoc (which means literally "Seven Caves") and in the Quiche paraphrase for Tula: "Tula,/ Zuyua,/ Seven Caves,/ Seven Canyons" (5257-5260). Consensus in assessment of this find is still forthcoming, but a set of preliminary possibilities has been assembled in a paper presented by Doris Heyden at the 38th Annual Meeting of the S.A.A., San Francisco, May 1973: "A Chicomoztoc in Teotihuacan? : An Interpretation of the Cave underneath the Pyramid of the Sun in Teotihuacan." Heyden argues reasonably that the cave was a sacred site long before the city itself was built, and it is for exactly this reason that the largest structure there was built over it. As with the case of the Olmec culture, the dating of the foundational period at Teotihuacan continues to be moved back. At present the time of construction of the great Pyramids of the Sun and Moon is loosely held to be in the last century B.C. (Millon, 1960: 9), but the Tzacualli phase whose pottery is associated with these structures is granted beginnings ca. 600 B.C., and these too are deemed provisional. In any case it must be repeated that what is in question is not the time of the first major construction at Teotihuacan but the time at which the site itself was first deemed sacred, and for what reasons.